House Speaker Dogara says "National Assembly contributed greatly to Nigeria’s democracy"
Despite our economic challenges, Nigeria has one of the most expensive legislative arms of government in the world. The Speaker, House of Representatives, Hon. 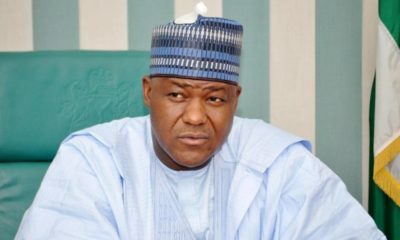 Yakubu Dogara, on Monday, said the National Assembly (NASS) contributed greatly to Nigeria’s democracy through the enactment of landmark legislations. He made the remark in a lecture at the opening of the 2016 Annual National Political Summit organised by the Save Democracy Group Africa (SDG-Africa) in Abuja. The legislations, he said, included the Pension Reform Act, the Privatisation and Commercialisation Act, the Compulsory, Free Universal Basic Education Act, among others. He added that the legislature also played a very positive role toward electoral reforms and the quest for credible elections in the country. He noted that the legislative arm had used its authority to stabilise the nation’s polity by providing the required legal framework, including the Electoral Act for the conduct of elections. 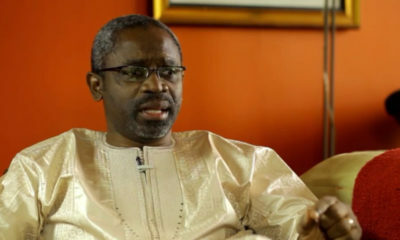 “A notable constitutional amendment was also made to insulate the Independent National Electoral Commission (INEC) from control of the President of the federation in running its affairs,’’ he added. Dogara, therefore, called for proper funding of the legislature, saying “we cannot actually have a vibrant, independent and highly motivated legislature ready to take on the executive for good governance and accountability on behalf of the Nigerian people without proper funding. “A well funded legislature is cheaper in the long run. “This is because one properly conducted investigation with NASS that is financially self sufficient could make savings that may be more than the yearly budget of the entire Assembly.’’ He said that the 8th national assembly would sooner than later revisit the issue of constitution amendment. Prof. Amos Sawyer, the President of Interim Government of Liberia said Africa was making progress in establishing and sustaining democratic institutions in spite of associated challenges. Some of the challenges, he said, included civil conflict caused by poor governance, abuse of power, the lack of ideology and internal democracy among political parties. He said that “in spite of the imperfections, democracy remains the best form of government and many African countries are working on free and credible elections.’’ Sawyer added that African countries were looking up to Nigeria in advancing their democracy, especially gender mainstreaming in politics.